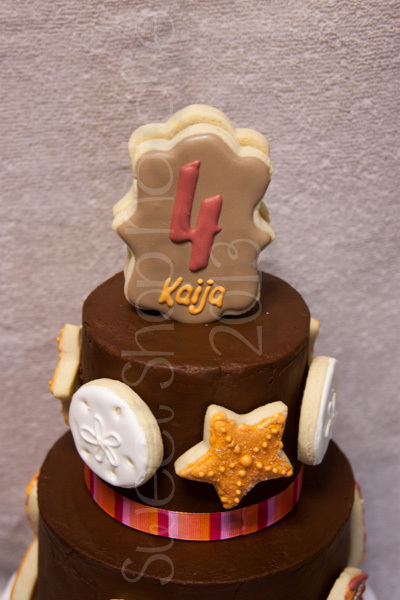 My daughter turned 4 this Month and after getting home from Disneyland and doing other cookies orders. 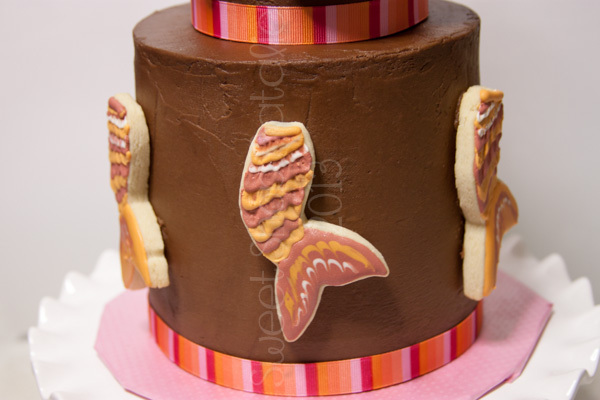 It was two days before her birthday party and I realized I had no plan for her cake. I asked her what she wanted and she was not specific about it. I gave her suggestions but she did not seem to be way excited about anything. 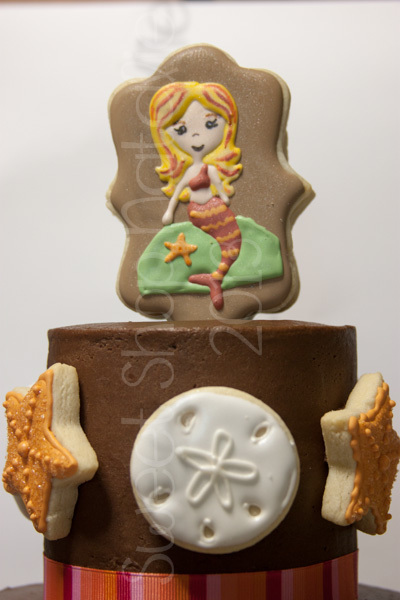 She does love her mermaid Barbie so I decided to get inspiration from Barbie Merliah and just make cookies because that would be simpler for me to do than a sculpted mermaid to sit on top of a cake. So I made the plan and told my daughter the next morning, she said no she did not want it but wanted a Buzz Light Year cake. WHAT!! Where did that come from. 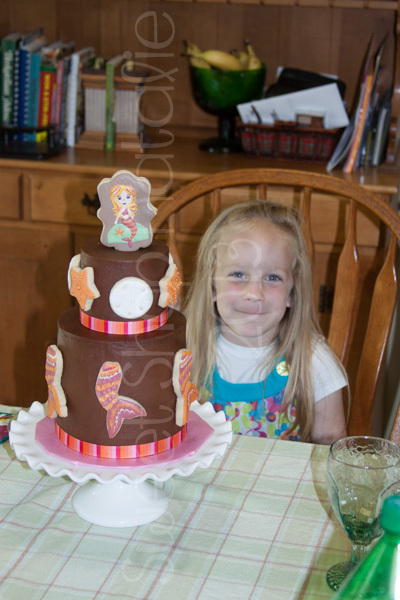 Anyway after I drew out a picture of what the cake would look like she was finally on board. 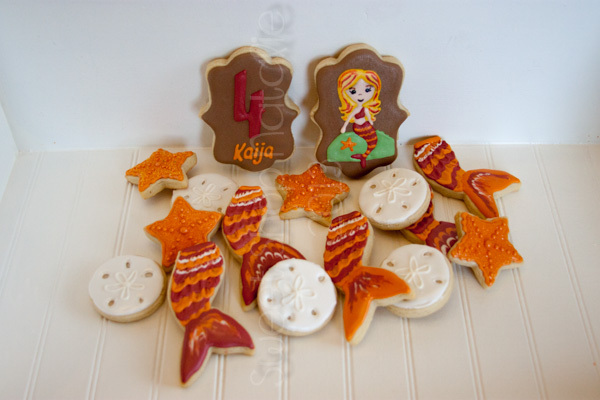 Here are the cookies I did and used the colors found on the actual Merliah Barbie. 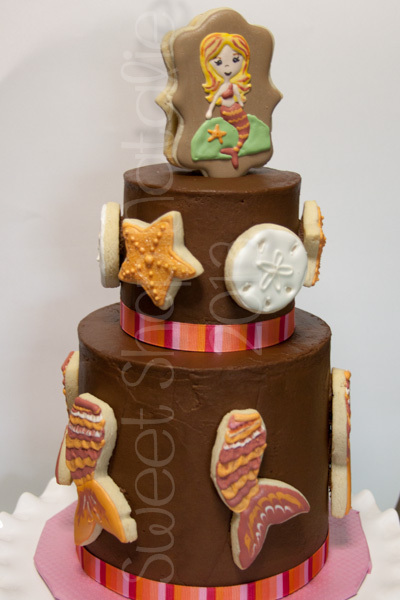 And here they are on the cake. Excuse my lighting I was at my in laws home and we were trying to find a background and hey lets face it I am not that great of a photographer. One side had the number 4 and her name. The front side a simplified mermaid. 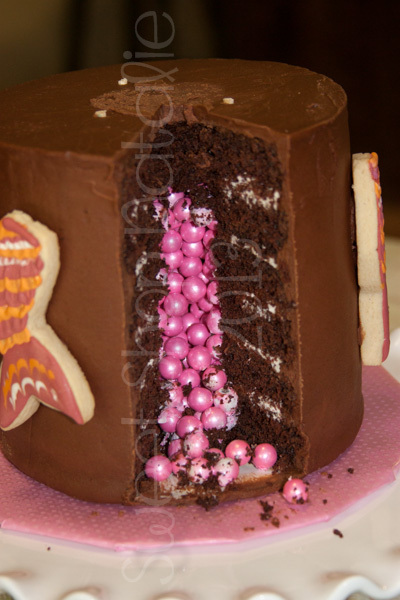 And I saw this surprise cake idea on At the Picket Fence and thought it would be a fun idea to try. I forgot about it and started to stack the and fill the cakes. So I had to take apart the first two layers I had already filled and layered to cut the hole in them and then I was on the right track. My daughter loves chocolate and wanted a chocolate cake with chocolate frosting.